When you need gift baskets, diaper cakes or romantic gifts for a special occasion, there are many different themes to choose from: gourmet, corporate, thank you, birthday, new baby gifts and don't forget the romance. We have plenty or romantic gifts suitable for birthdays or anniversaries. We encourage you to give us a call and let KaiVal Gift Baskets in Montreal, Quebec, Canada help you with your gift giving needs. Holidays and special events come and go, but here at KaiVal Gift Baskets... 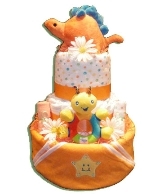 Diaper Cakes, located in Montreal, Quebec, Canada, we always have new gift designs for all occasions throughout the year. In the past few years, we have introduced our diaper cakes . Please feel free to visit any of our gift baskets Canada pages and you will surely find the gift that you need, all of which are shipped throughout the majority of Canada free of charge. 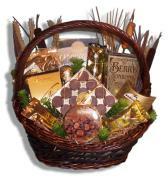 The Occasion: Is the gift basket going to a business associate, family member or friend? This will set the tone and also the colours of your gift. Price range: There are many price ranges to choose from, so be aware of how much you would like to spend on your gift. Is the delivery or shipping included in the price? If not, then how much will the company charge you for your gift basket delivery. Birthday gift baskets are one of our personal favourites to make. They are colorful, fun, cheerful and loaded with lots of goodies. If you are looking for birthday gifts in Montreal or anywhere in Canada, then you have come to the right place. 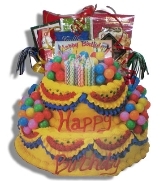 Not only can any of our baskets be themed for a birthday gift, but we have one of the most extensive array of themed "Happy Birthday" gift boxes and die-cut gift bags within Canada. Whether you are sending birthday wishes to a colleague, client, family member or friend you can choose among our birthday gift baskets to find the right gift for you to send with free delivery within Montreal and free ground shipping throughout Canada. Diaper Cakes have become so popular in recent times, and the reason for this is quite simple... they are one of the most practical (and beautiful) baby gifts for the new baby and family. These diaper cakes are made to look like a tiered wedding cake, coming in different sizes from 2 tiered cakes to 5 tiered cakes. The main difference in these sizes, besides the height of the finished product, is the amount of diapers used to form the base of the diaper cake gift. There are literally hundreds, if not thousands of design possibilities for diaper cakes, but the most basic of cakes are covered in satin or wire edged ribbon ( to look like icing on the cake). If you browse through our diaper cake designs, you will notice that most of our designs are of the 3 tiered variety. Personally, we love the look of this height... but all of our diaper cake baby gifts can be made in 2-tier, 3-tier, 4-tier or 5-tier designs. 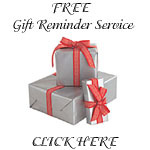 We have made your business gifting that much easier. You may need to send a gift to a colleague, boss or client at a moment's notice, and that is where we can help. Over the years, we have seen many different reasons for sending gourmet gift baskets and corporate gifts within Canada... form thank you's, job referrals, retirement and more and we make sure to provide our most popular treats in these baskets. One of our bestsellers is the Wealth of Treats gift basket, which has all of the contents included in a leather chest, which can be used in the office for many years to come. All of our corporate gift baskets are delivered in Montreal and shipped throughout Canada. Someone not feeling so well?? There are many different reasons why you may be thinking of sending a get well gift basket, from a cold with the sniffles to an extended hospital stay. Don't worry, at KaiVal Gift Baskets, we know how to bring a smile. 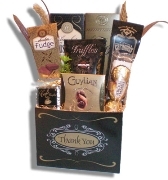 With plenty of choices for sympathy gifts, you will certainly be able to convey your best wishes. 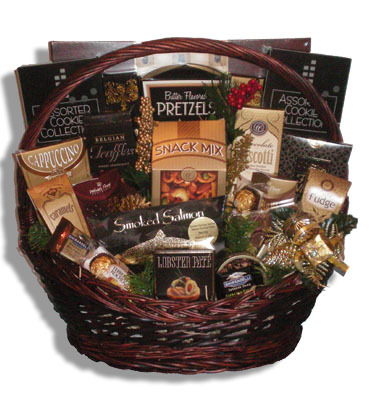 Be sure to visit our selection of get well gift baskets,where you are sure to find that "special" gift. When you need to say thank you for a job well done or for that extra time your employees put in at the office, try sending one of our thank you gift baskets Canada. How about your babysitter, whom the kids love or your neighbor for taking care of your house while you are away? Don't forget your immediate family and friends... don't they deserve a little thank you gift also? We rarely express this sentiment enough; telling someone that you appreciate their time and efforts will surely leave a lasting impression. We have many appreciation gifts to choose from, or you may choose a gift basket or candy bouquet from any of our categories and we can create a gift just for you. We offer a variety of ways for you to order your gift baskets, diaper cakes and candy bouquets Canada: through our website,phone, fax or email. Payments can be made by Visa, Mastercard and/or American Express.